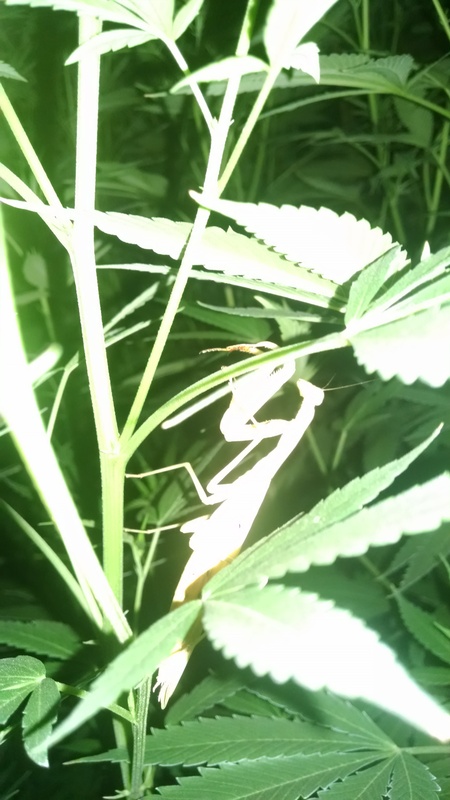 Beneficial insects for your marijuana garden is one of the hallmarks of a successful outdoor grow. If you are truly interested in using as little pesticide/insecticide as possible you will need to come up with alternative methods that will reduce the possibility of insects infecting and doing damage to your plant. One of the most obvious and frequently used insects for pest control in a garden is lady bugs. Lady bugs eat a fair amount of pests, but far more pests are killed by lady bug larva so it is important that you have an area which will not only allow the lady bugs to thrive but a place for them to hide and produce lady bug larva. The second most valuable insect for battling garden pests is, in my opinion, the praying mantis. Only young praying mantis insects are likely to attack and eat the spider mites, but the praying mantis will help keep down any and all other possible pests that may become an issue. Plus they look really cool.